Presently working as an electrical engineer for one of the biggest engineering consulting company in the energy sector in US. Worked with utility clients such as AEP, Duke Energy, PG&E etc. Post MBA goal- Transition into consulting, work for power or energy groups in consulting firms. EC- Toastmasters, ran marathons, some local community service. hi sveniga4, there is a LOT to like about your profile. I will elaborate below. 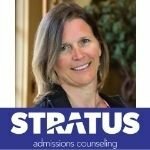 GMAT-760 Q50, V42 - this is the big ticket that can help- would be even better with better grades- did you at least qualify as first class for undergrad? Post MBA goal- Transition into consulting, work for power or energy groups in consulting firms. (Excellent work experience and your post MBA goals build on what you have done- rather than just say you are focused on energy groups in consulting firms- be a bit more specific about which firms you like and why you like their energy groups - to show that you have a good idea of the space and where you want to end up. Specificity matters. Schools- Kellogg, Fuqua, Ross. (I think Fuqua and Ross are the best odds as the gpa might be harder to pass through at Kellogg but all worth a shot) Maybe look at some of the Texas schools too since you are interested in energy. Thanks for getting back to me. My undergrad school doesn't follow the class system, but Indian universities consider 75% as first class so I may have made it there. Do you think I am being over ambitious with my school choice as all the three are really very competitive? No I don't think you are being too ambitious- I think you have a shot at these- but probably good to add some safety schools to that list which might also include UNC Kenan-Flagler, maybe Indiana or Olin or Owen or some other programs so that you have back ups if you don't make it in. For Fuqua if it is really a top program on your list- apply in the earliest round and be prepared to stop with other programs if you get in. That is your best odds there. Thanks for your suggestion. I am trying to asses my candidacy for KF and McCombs. Do you consider these both as safe schools for my profile?